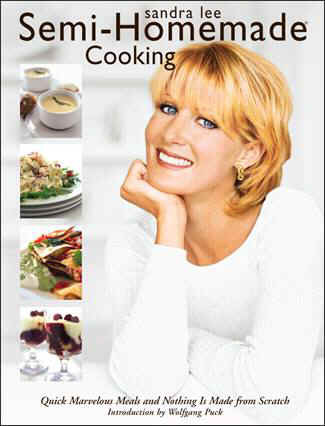 Sandra Lee has been making everyday lives a little bit easier for over ten years with her Semi-Homemade techniques. Now, she brings her inspiring, practical ideas into the kitchen in her very first cookbook, with recipes that are quick, easy, and most of all delicious. White-chocolate-covered strawberries - people pay a fortune for these delicacies, but you can create the same thing, if not better, with this sure-fire recipe. In a large saucepan over medium heat, combine cream and butter. Bring mixture to a simmer, stirring constantly. Transfer to a fondue pot, chafing dish, or ceramic bowl. 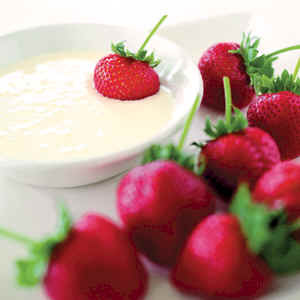 Serve with apples, bananas, strawberries, cookies, pretzels, and pound cake. to create a worry-free, timesaving new approach to home cooking.